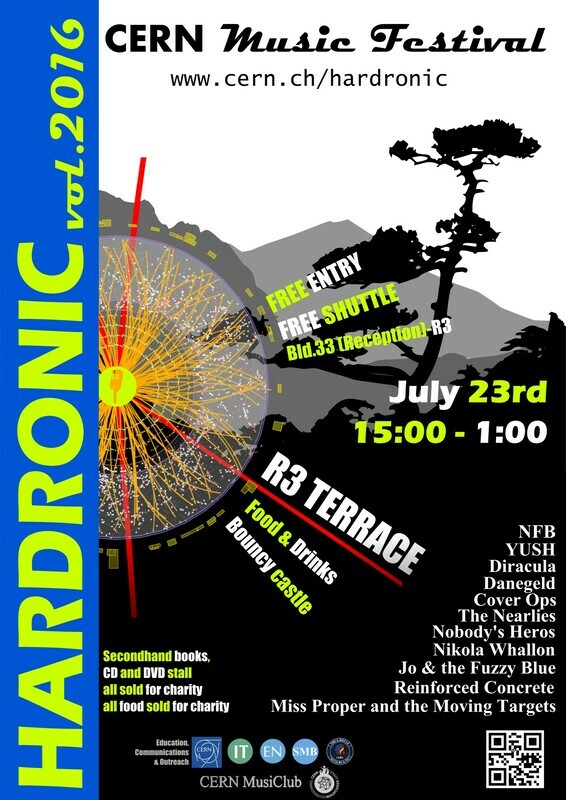 Created in 1989 by Silvano de Gennaro, the Hardronic Festival is the opportunity for CERN Staff, Summer Students, users, their friends and families, to come to the site and enjoy all types of live music, games and animations for kids, delicious food and cool drinks. It started as a very small event, on the terrace of Restaurant 1 in Meyrin. 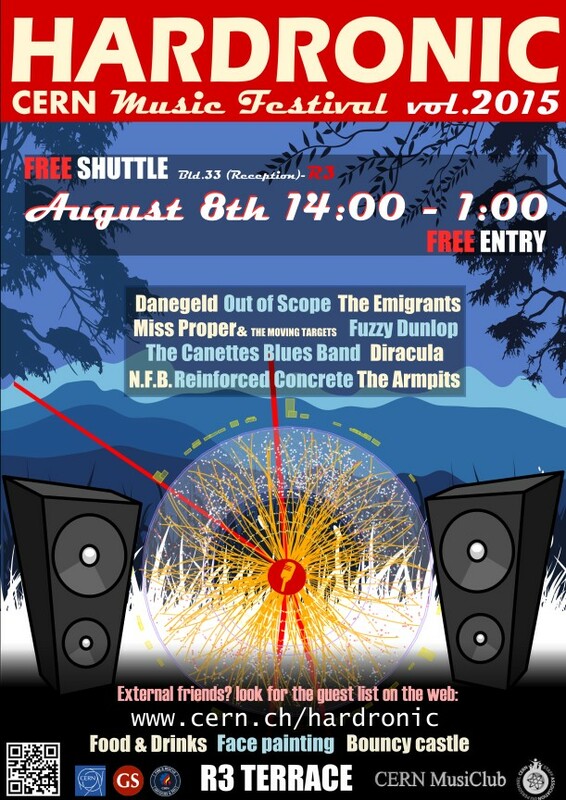 During the first years, the stage was the platform of a CERN truck, lent by the transport group. 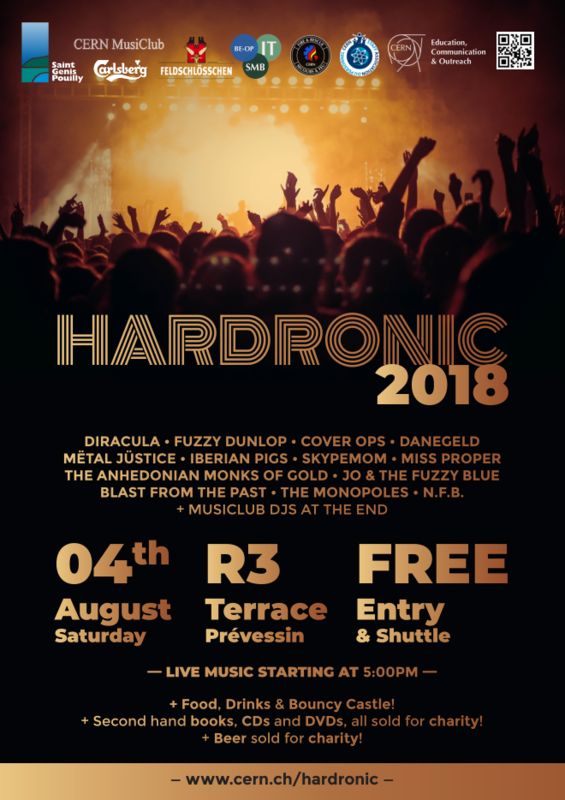 As it grew in subsequent years, the Festival had to be moved to a larger venue, on the fields of the CERN Prevessin site, near Restaurant 3. Every year the festival had a different format: one or two days, one or two stages, mid-July or end of August, etc... but most of the time we've been super lucky with the weather. 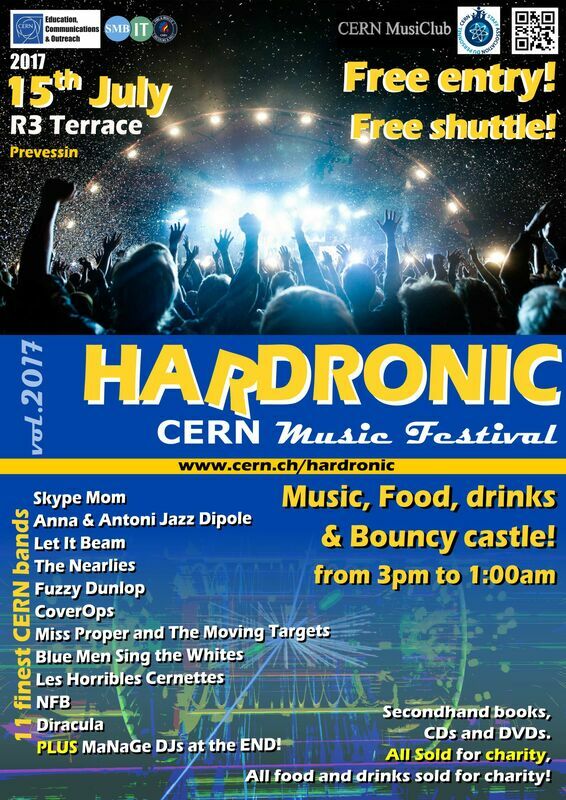 A real "CERN National Holiday".